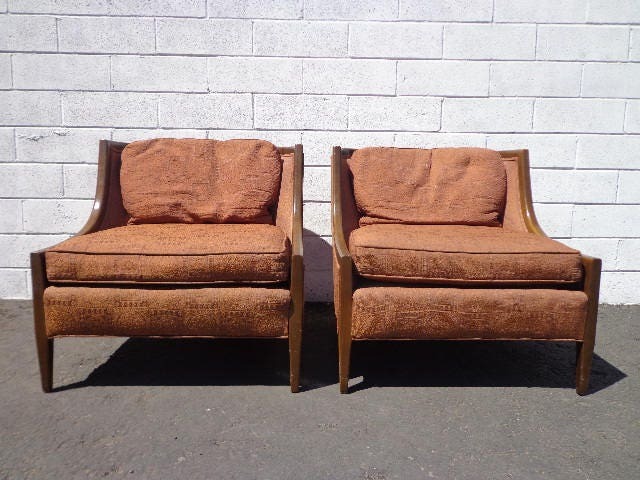 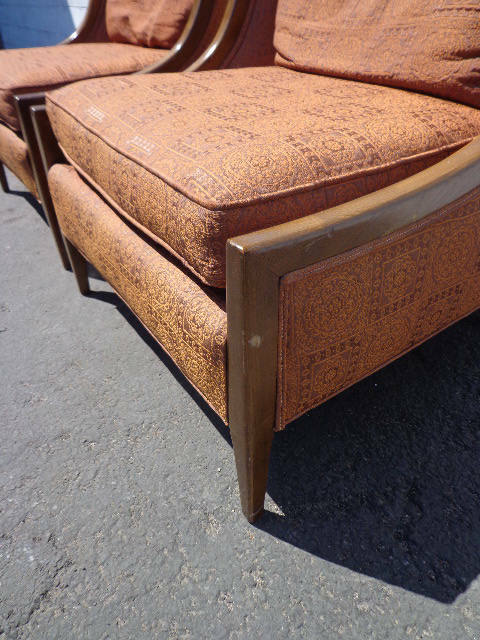 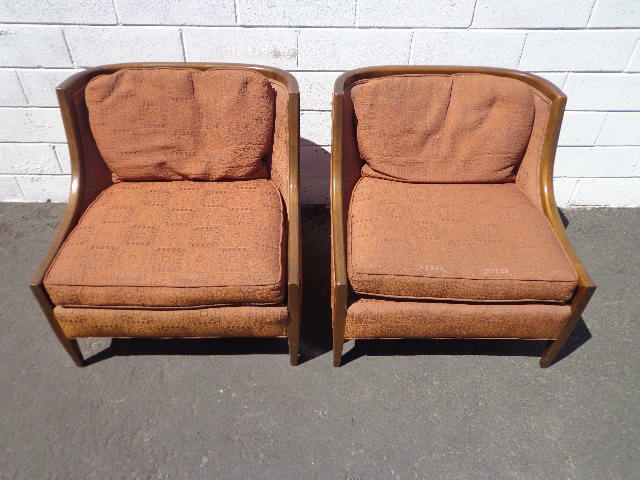 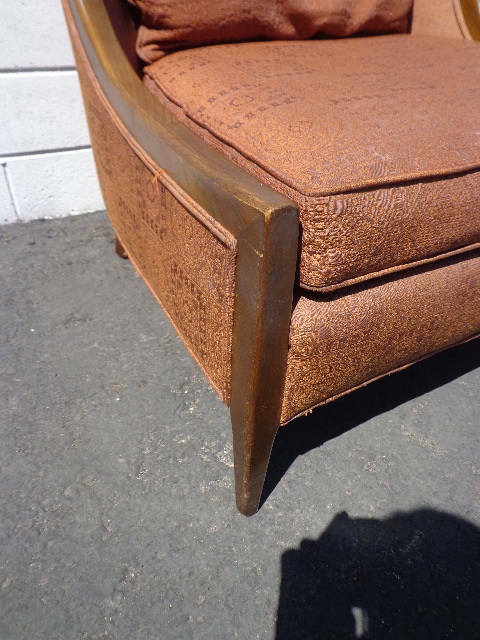 Great pair of mid century / antique / vintage / lounge chairs. 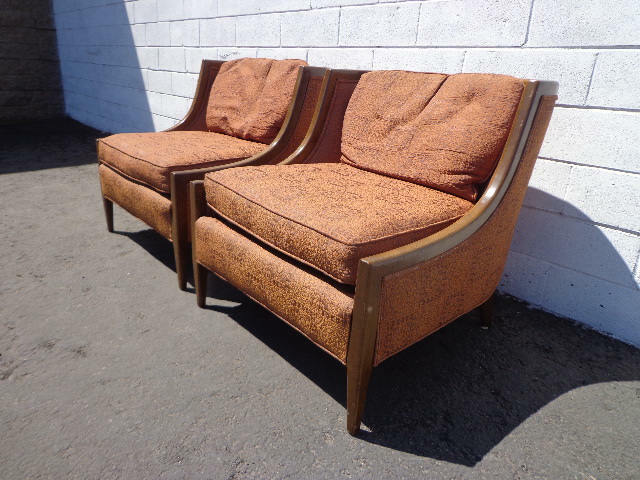 Gorgeous curved wood framed with complementary upholstery. 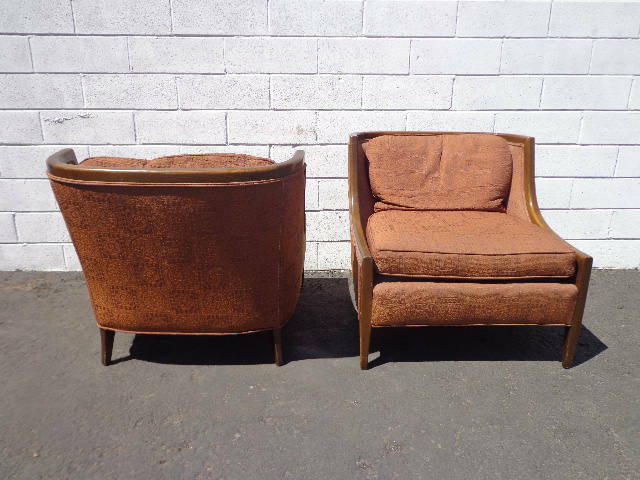 Elegant shape and appealing design that will be perfect for any space. 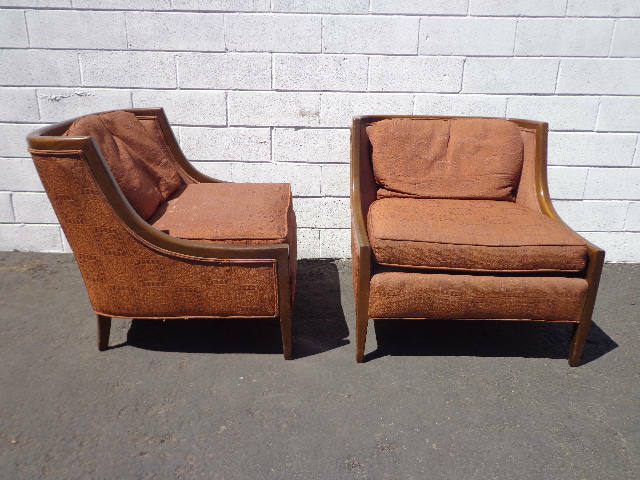 These will add elegance and character to any area. 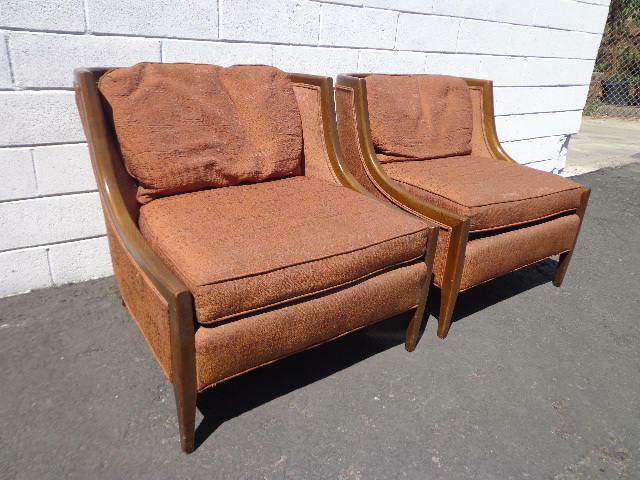 Stunning pair perfect for any interior. 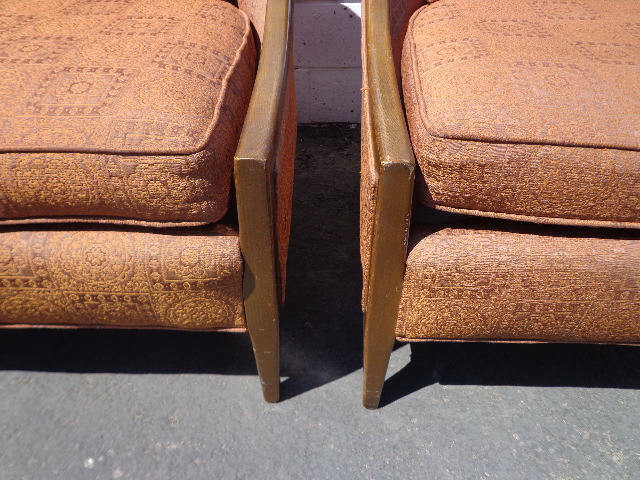 Solid and sturdy condition. 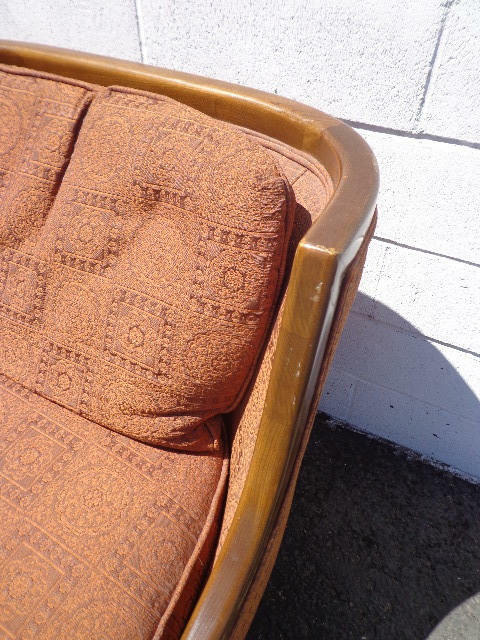 Will look great with traditional classic country French provincial shabby chic vintage glam regency coastal cottage interiors.